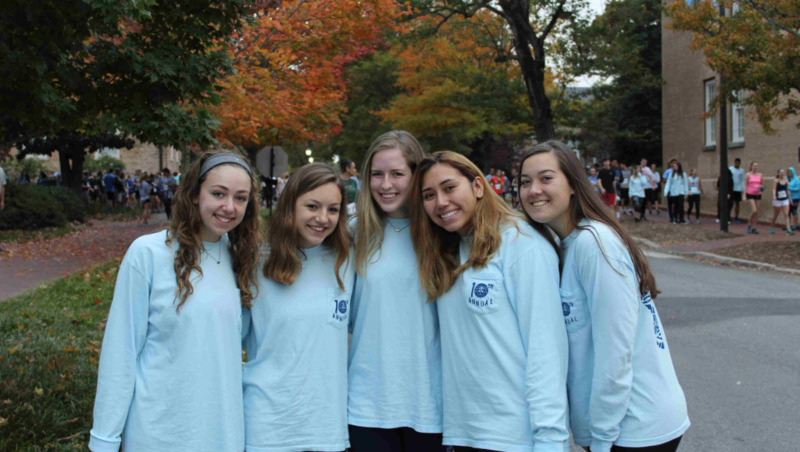 Every year our chapter of Pi Beta Phi, along with Phi Delta Theta, puts on the Eve Carson Memorial 5k for Education to honor the memory of former student body president Eve Marie Carson. Although her life was tragically cut short on March 5, 2008, Eve Carson made a tremendous impact in the University of North Carolina community through her actions, leadership, character, and kindness. With over 2,300 participants in the past, the Eve Carson Memorial 5K for Education holds the record for the largest campus race in history, and we are excited to see our numbers continue to grow this year. In 2017, the 10th Annual Eve Carson Memorial 5K raised $125,000, a staggering amount made possible through generous donations and enthusiastic support from the community. Of that grand total, $73,000 came from generous in-kind donations such as food, gifts, and prizes that made race day a success and an amazing $52,000 was divided among the three beneficiaries of the event. 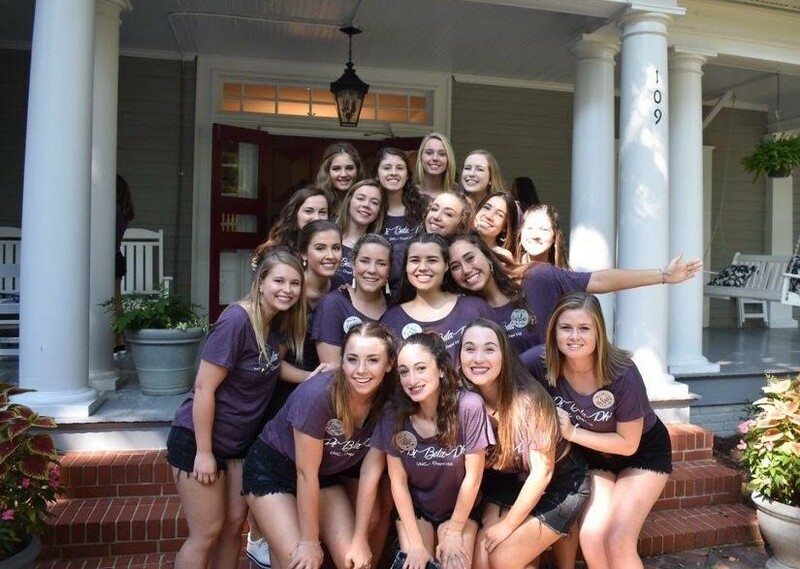 Proceeds from this year’s event will once again benefit the Eve Marie Carson Memorial Junior-Year Merit Scholarship, the Pi Beta Phi Literacy Fund, and CEO 4 Teens. The Literacy Fund supports all of Pi Beta Phi’s literacy initiatives, which strive to cultivate a lifelong love for reading and create a more literate and productive society. CEO 4 Teens is a non-profit organization that is committed to creating educational opportunities for underprivileged teens around the world, particularly in Indonesia. CEO 4 Teens provides students with a scholarship to learn English and computer skills, as well as assisting scholars with job applications and placement. Join us for the Eve Carson 5k on October 6th, 2018, by signing up here! To fundraise and spread awareness for the Eve Carson 5k, we hold a benefit night at Sup Dogs and an event called Pi-The-Phis! We are so grateful to Sup Dogs for joining us in advocating for literacy in honor of Eve's memory. Ten percent of all proceeds went toward the 5k, and it was exciting to partner with a place that is such an important and beloved part of the Chapel Hill community! 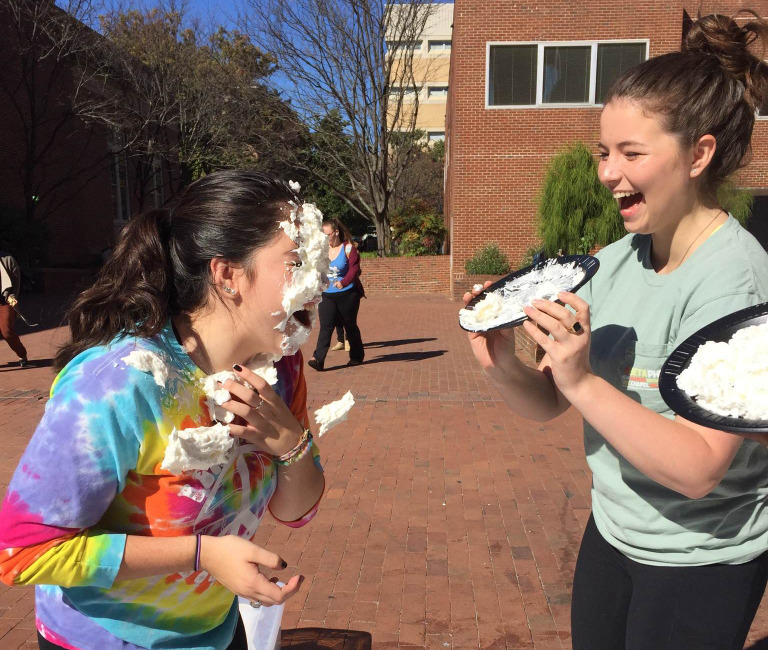 For Pi-The-Phis, students can pay to pie members of our chapter and Phi Delt with whip cream "pies." This event is a blast; our friends always come to the Pit to show us some pi-in-the-face love. 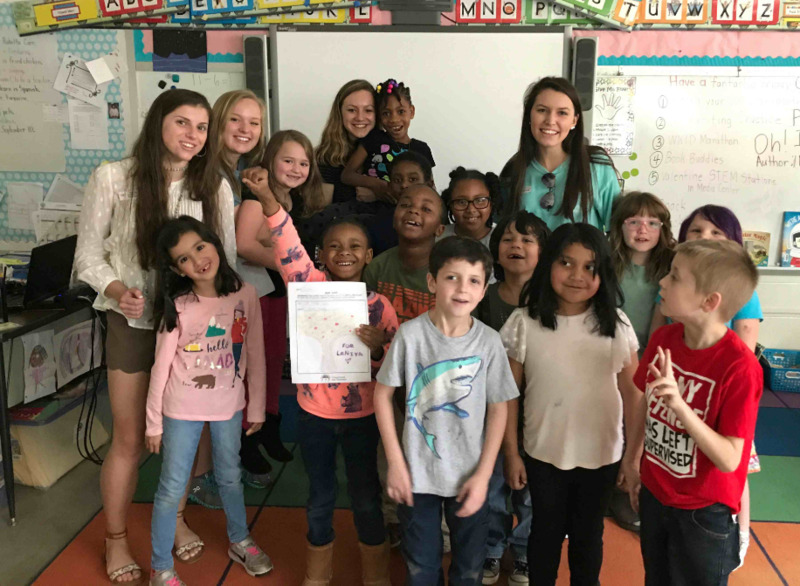 We love visiting the adorable first graders at Central Elementary School in Hillsborough to read with them every Friday! Their smiles always brighten our days. We value the opportunity to join with many other chapters of Pi Beta Phi across the country in the movement for literacy through CAR.